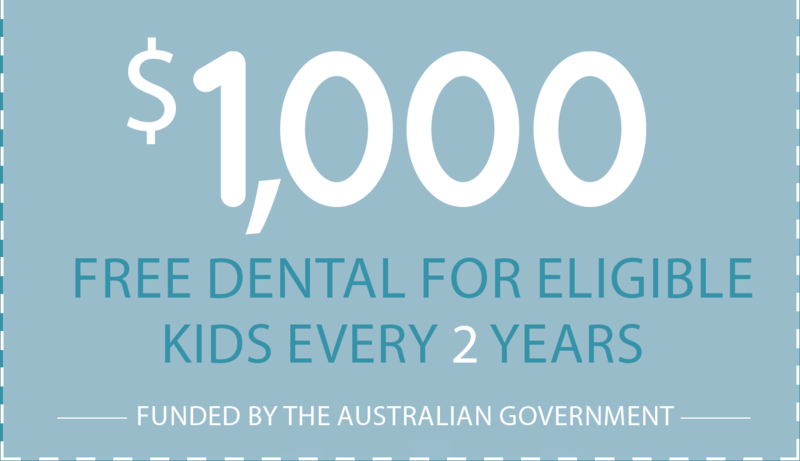 We are a part of the Child Dental Benefits Schedule (CDBS) which is a government initiative providing $1,000 of free dental benefits to children aged 2 to 17 who meet the eligibility criteria. This $1,000 will be valid every two calendar years and continue until your child is over 17 years of age. The CDBS is means tested, subject to relevant government payments such as the family tax benefit part A. For more information check our CDBS flyer or Contact us for more information. For more information regarding Dentisure, please view the Dental Care Network website, here. The accreditation of private dental practices’ is based on the integration of a set of National Safety and Quality Health Service (NSQHS) Standards into everyday practice culture and patient safety. These standards harmonise regulatory requirements passed down by both Federal and State governments, with highlights being the demonstration of clear and evidence based patient benefits when visiting an accredited practice. When choosing an accredited practice a patient can expect a reduction in clinical and general risks, as well as the peace of mind in knowing that all staff are educated and engaged in the implementation of dental systems and improvement of dental processes within their practice. National Safety and Quality Health Service Standards for Dentist’s were adopted by the Australian Commission on Safety and Quality in Health Care in 2011. The attainment of these standards means a dental practice has proven to be of the highest calibre in delivering quality patient care within Australia. We now proudly belong to a new age of accredited dental practices, meeting QIP quality standards of patient care for all patients. We assure you we are committed to ongoing improvement of the policies and procedures that govern our dental practice, providing assurance to patients, staff, colleagues and peers that we are committed to quality, safety and excellence across all standards. Accreditation is independent recognition that we have met the requirements based on a defined criteria and set of standards that all practices can be judged equally against. Accreditation provides assurance to our patients, staff and everyone associated with the Practice that quality and performance standards have been met and are being constantly evaluated and improved upon. If you would like to find out more about the accreditation of our practice please contact us for more information. We are now a Bupa Members First practice, allowing us to provide BUPA private health fund members with exclusive prices and benefits. Price certainty of out-of-pocket costs for Bupa health insurance members. Contact us for more information. Subject to fund dental rules, waiting periods and annual maximums. Take the financial stress out of dental treatments with Smile Choice Bite Sized Payments. Sometimes dental treatments can be an unexpected expense, but that doesn't mean you need to choose between your oral health and your budget. Our goal is to make your dental care both excellent and accessible, which is why we now offer Smile Choice payment options. We believe that you should be provided with the convenience, flexibility and access to dental treatment regardless of your financial position. Smile Choice can offer you payment solutions to suit your situation or the option to pay for your treatment over a period of time. Choose between the Zero Deposit Patient Loan or an Interest Free Payment Plan. Application and approval of your payment option is completed in one simple and seamless online process. For more information surrounding Smile Choice Bite Sized Payments, contact your dental practitioner or visit www.mifund.com.au.